Univision CEO to debate commission: why no Latino moderators? The 2016 Presidential Debates will not include a Latino moderator, and Univision isn't pleased. Randy Falco, the President and CEO of Univision, the largest Spanish-language broadcaster in the United States, wrote an open letter to the Commission on Presidential Debates on Friday expressing "disappointment, and frankly disbelief," that the Commission did not choose a Hispanic journalist to moderate one of the debates. 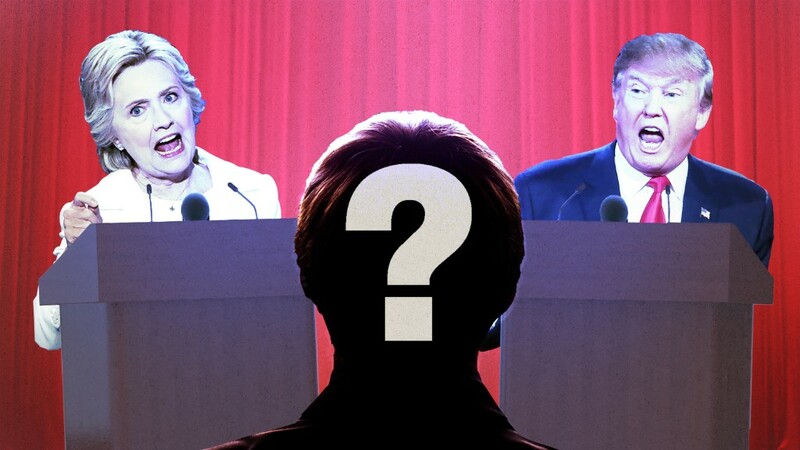 The Commission announced Friday that the three presidential debates will be moderated, respectively, by NBC's Lester Holt; CNN's Anderson Cooper and ABC's Martha Raddatz; and Fox News Sunday's Chris Wallace. CBS's Elaine Quijano, who is of Filipino descent, will moderate the vice presidential debate. Falco said that while the inclusion of Quijano was "a welcome addition," it was "insufficient when taking into account past presidential cycles, future demographic trends and the important role Latinos play in the economic and social fabric of this great nation. Simply put: it's an abdication of your responsibility to represent and reflect one of the largest and most influential communities in the U.S."
"Since 1980, no candidate for President of the United States has won without at least 30% of the Latino vote," he wrote. "And we are seeing the number of registered Hispanic voters in key battleground states like Colorado, Nevada and Florida is trending upward... Sum these data points with the fact that, once registered, Latinos turnout at equal to or higher rates than other voter groups, and the conclusion is obvious: candidates must engage and speak directly to these voters." Janet Brown, the executive director of the Commission on Presidential Debates and the person to whom the letter was addressed, did not immediately respond to requests for comment. One of the Commission's main goals in selecting moderators is to ensure that the moderators do not become a story in their own right and distract from an event that is meant to highlight the candidates and their positions. This is likely a reason that Fox News' Megyn Kelly, who has been one of cable news' most prominent anchors over the past year, wasn't picked, given Donald Trump's qualms with her moderation of a Republican primary debate. It may also may have excluded Univision's Jorge Ramos, the nation's most prominent Hispanic anchor. Ramos has sparred with Trump over his stance on immigration on multiple occasions, and Trump has banned Univision from campaign events. Any Latino moderator would also likely have come under fire from Trump supporters -- or the candidate himself -- due to Trump's frequent derogatory remarks about Mexicans and other Hispanics during the campaign. But as Ramos himself pointed out recently, there are a number of Latino journalists who would have made good moderators. "Maria Elena Salinas from Univision is fantastic, Jose Diaz-Balart from Telemundo, Tom Llamas and Cecilia Vega from ABC, Maria Hinojosa from NPR," he told CNN's Brian Stelter on "Reliable Sources" last Sunday. "We have many, many great, fantastic journalists who could do a great, great job in the debates," he continued. "And it is time, because they're about to announce it. It is time to have a Latino or a Latina in those debates. Twenty-seven million Latinos are eligible to vote. We are the fastest growing electoral bloc in this country. It's about time to have a Latino or a Latina in those debates as moderators."